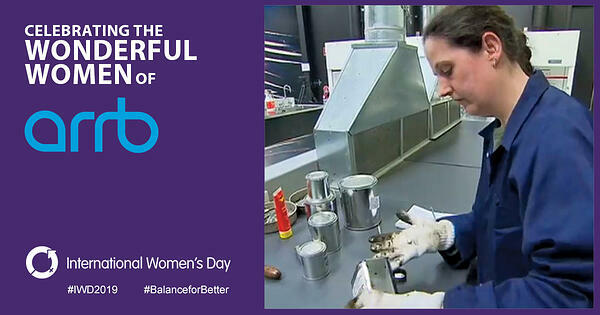 To celebrate International Women's Day on March 8, ARRB is showcasing the Wonderful Women who work here. 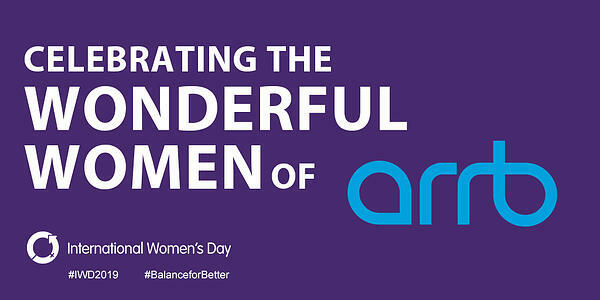 ARRB is dedicated to supporting women in all areas of our organisation. As a part of our leadership team, two of our State Technical Leaders are female. Samantha Taylor looks after Victoria and we also have Rita Excell who looks after South Australia. First up, we head to the west coast where Zia Rice is kicking goals in our Perth office. Zia is a Senior Professional in our Future Transport Infrastructure team. She holds a Bachelor of Engineering (Civil) with honours from The University of Western Australia and is currently in her last semester of her Master’s degree in Pavement Technology. Her role at ARRB is conducting pavement research for the WARRIP program (MRWA and ARRB). She has a wealth of experience in geotechnical engineering and her research is centred around granular pavement materials. She loves being able to use her creativity to come up with solutions in her work. When Zia is not hustling in the office, you can find her working on her swing at the golf course. Next we have Elizabeth Woodall from our Port Melbourne office. Elizabeth is a Senior Professional, Labratories in our Strategic Enablers Group team. She holds a Bachelor of Science from Melbourne University (doing predominantly Biotechnology and Biochemistry and dabbled in Immunology for fun!) and came to ARRB in late 2004 to work in the Bitumen Laboratory. She’s mostly kept busy with lab testing but also works on various calibrations and accreditation audits. Her major highlight of her time at ARRB was working out in the field with the road crews helping with a large sealing program in Coober Pedy, SA and Cooma, NSW. She is also looking forward to test-running the Bitumen Lab’s new, top of the range, Research-grade Dynamic Sher Rheometer (affectionally called the “space ship” because it really does look and sound like it is about to launch itself into outer space!). When she’s not dominating in the lab, you can find her browsing inside used book stores, down at the beach or running after her eight nephews and niece. Our next Wonderful Woman of ARRB is Janelle Brown who was from our Brisbane office but recently made the move back to Melbourne. Janelle is the Senior Professional Leader of our Information Technology team. On paper, she is responsible for running the entire IT Department which includes implementing and maintaining ARRB’s IT infrastructure and leading the IT support team to meet ARRBs IT needs. In other words, she makes sure that everything tech-related is running smoothly at ARRB which allows the rest of us to do our jobs! She has an MCSA (Microsoft Certified System Administrator) and over 17 years of IT industry experience. She is also a qualified croupier (casino dealer) so when she’s not smashing it in IT, she loves a good poker tournament! 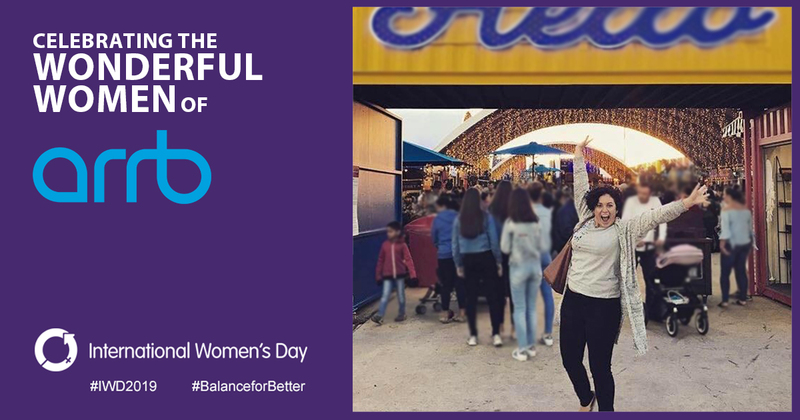 ARRB has many other Wonderful Women who help shape the future of transport. 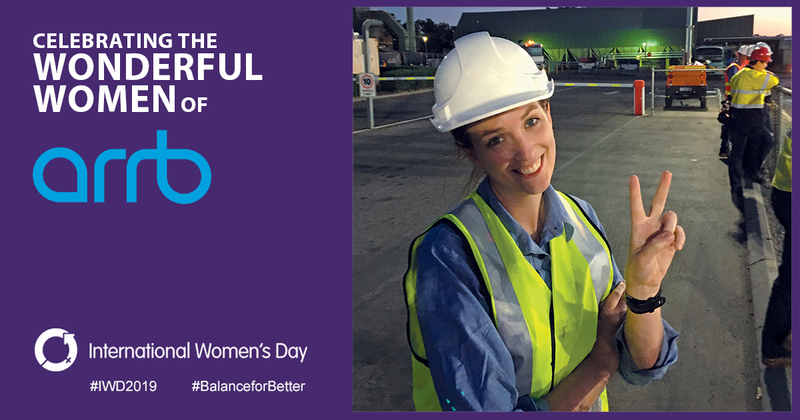 Jenny is a Senior Professional in our Future Transport Infrastructure team in Port Melbourne. She has a PhD and Bachelors Degree in Materials Engineering from the University of Valle in Cali Colombia. She is the project leader of a four-year Austroads project in the foam bitumen stabilisation field and contributes to other Austroads projects in the binders and surfacings field. As a good Colombian she loves dancing, especially salsa and Latin rhythms, she even taught her Australian husband how to dance. People in Australia always tell her that she reminds them of Gloria from Modern Family by the way she speaks and her personality. She never expected to live overseas, away from her family and but she came to Australia to do an internship and fell in love with this country. She met her husband here, is loving life and is about to become a mum! Amy is the Leader of the National Project Support Unit in our Brisbane office. She holds a Diploma Community Services (Case Management). Amy manages a team of six Wonderful Women who work alongside project leaders, assisting in all things project support as well as running the ins and outs of their respective offices. She provides program and project reporting to management and leadership and maintains, creates and supports our business tools and is excited because she is getting a puppy next month! Our last but certainly not least Wonderful Woman of ARRB is Brittany. She is a Professional Engineer in the Strategic Enablers Group in our Port Melbourne office. She holds a Bachelor of Mechanical Engineering and Bachelor of Marketing from QUT. She has recently taken on the role of managing the iSSAVe (Intelligent Safe Surface Assessment Vehicle) which involves assessing the skid resistance of the nation's road network. Prior to this she spent her first few months at ARRB in the Future Transport Technology team researching autonomous vehicles. Brittany is originally from Brisbane, she is a qualified speech and drama teacher and she enjoys paragliding.